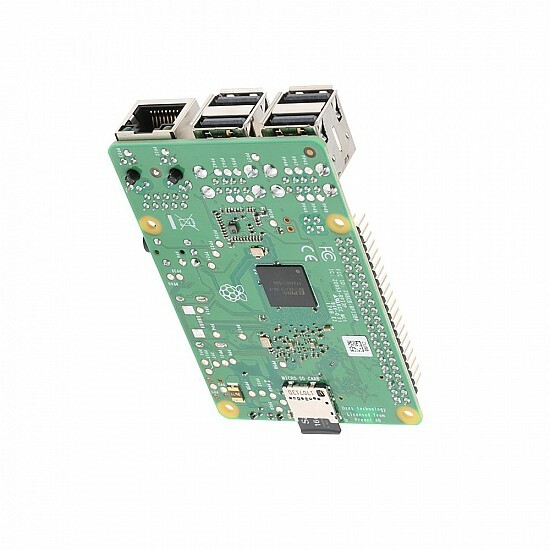 The Raspberry Pi 3 Model B+ is 64-bit quad core processor running at 1.4GHz, dual-band 2.4GHz and 5GHz wireless LAN, Bluetooth 4.2/BLE, faster Ethernet, and PoE capability via a separate PoE HAT. The dual-band wireless LAN comes with modular compliance certification, allowing the board to be designed into end products with significantly reduced, wireless LAN compliance testing, improving both cost and time to market. 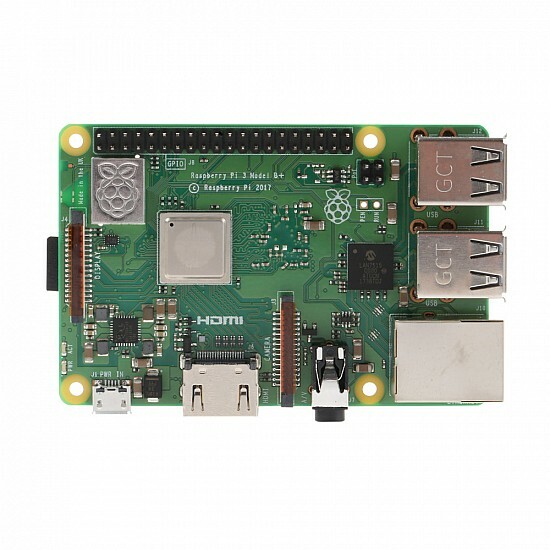 The Raspberry Pi 3 Model B+ maintains the same mechanical footprint as both the Raspberry Pi 2 Model B and the Raspberry Pi 3 Model B.
DescriptionThis popular reduction motor is simply the most commonly used motor for Scooters, Bikes and quad's available in the market!It is normally f.. Kits list:1 x Active buzzer module1 x Passive buzzer module1 x Common cathode RED&GREEN LED module1 x Two color common cathode LED .. Description:Frame: Frame Width: 450mm Frame Height: 55mm Frame Weight: 295g (without electr.. Description:Item name: 1045 PropellerDiameter: 10inPitch: 4.5inPropeller diameter: 25.4cmCentre bore diameter : 6mm front and 9mm reverse side.Centre ..